Vittoria Chocochino Italian Drinking Chocolate is made from the finest chocolate delivering the rich, creamy taste savored by chocolate lovers. 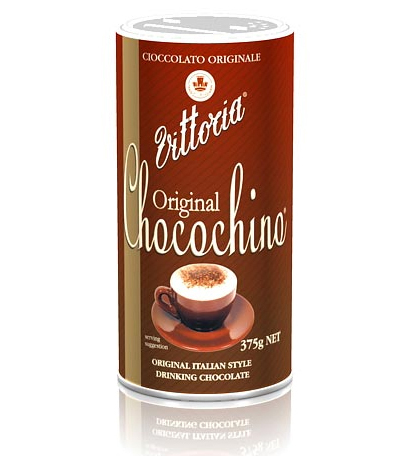 Chocochino makes delicious hot chocolate, mocha coffee and to sprinkle on top of a cappuccino. Original Chocochino is Vittoria’s traditional Italian‐style drinking chocolate. Designed for enjoyment as both a chocolate drink and to sprinkle on a cappuccino, this innovative pack features a unique sprinkle‐top lid to add the perfect finish to your perfect coffee. 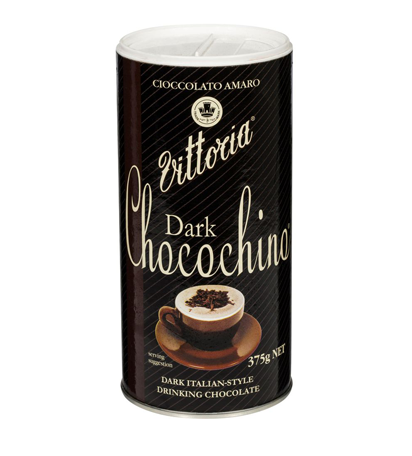 Dark Chocochino is part of Vittoria’s traditional Italian‐style drinking chocolate range. Containing 35% cocoa for the perfect balance between bitter and sweet.